Preheat oven to 450° F. In a small bowl, combine pizza sauce, diced tomatoes (drained) and red pepper flakes. Spread sauce mixture over crust, leaving a 1" border around the edge. 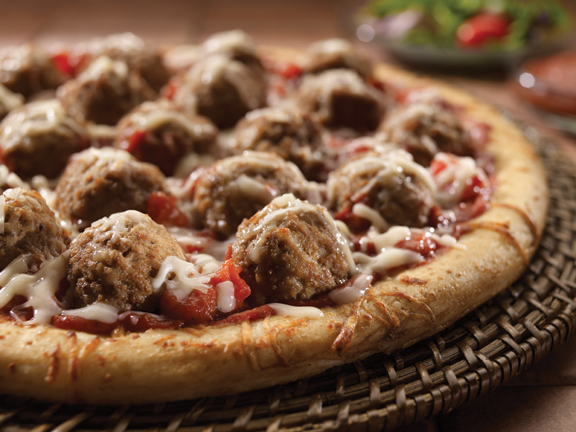 Arrange the meatballs, cut side down, in a single layer over sauce. Top with cheese. Bake pizza for 10 – 12 minutes until cheese is bubbly and crust is golden brown.